Someone even drove his SUV in front of the truck to stop it. The dogs were packed into tiny, cramped wire cages and loaded — one on top of another — onto the back of a truck. 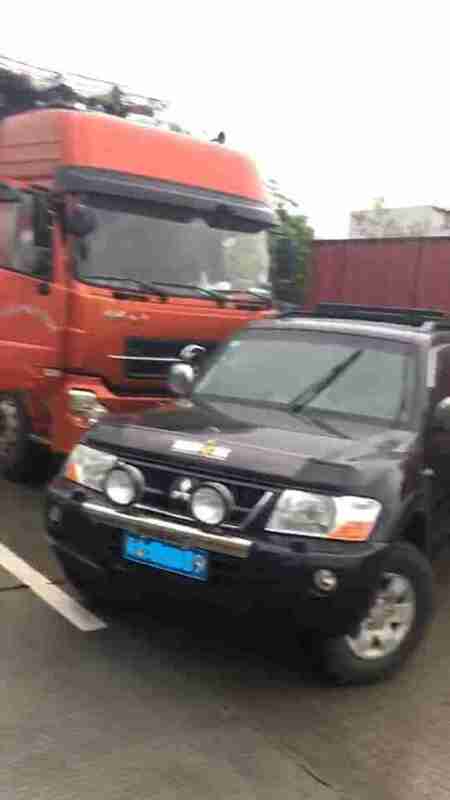 Then they were driven from Hunan, China, to a slaughterhouse in Guangzhou, China, in a journey that took over three days. 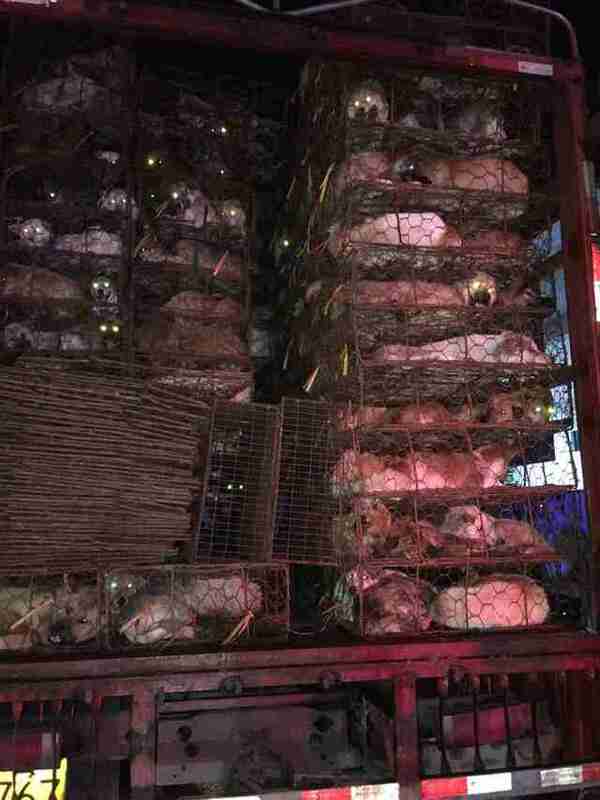 Peter Li, China policy expert for Humane Society International (HSI), told The Dodo that this shipment of dogs was “the biggest we have ever seen.” Over 800 dogs had been packed into those tiny cages, which barely left enough space for the dogs to breathe. And as the truck rumbled along, the dogs cried out in pain and fear. If the dogs had made it to the slaughterhouse, they would have faced additional horrors. 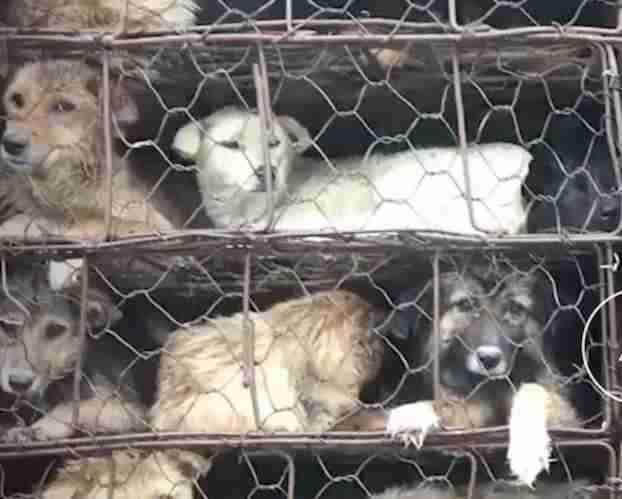 In China, about 10 million dogs are brutally slaughtered each year for their meat. While killing methods vary, it’s common for dogs to be electrocuted, hung, bludgeoned and stabbed to death. Sometimes they’re even skinned or cooked alive. Since there are no dog meat farms in China, the majority of dogs killed for meat are stolen pets or strays. But in an incredible turn of events for these dogs, a group of dedicated animal lovers decided to step in. The rescue mission began when a local man drove an SUV in front of the truck, forcing it to stop on the road. 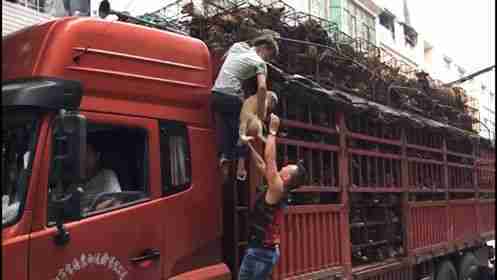 While slaughtering dogs isn’t illegal in China, a national policy requires anyone transporting dogs or cats to have health certificates for each and every animal. “Without the certificates, the dogs can be considered stolen,” Li explained. The likelihood of the driver having certificates for all 800 animals was doubtful — and the rescuers were counting on this to try to save the animals. After the truck had been stopped, there was a standoff between the animal rescuers and the driver. The police were called to moderate the situation. 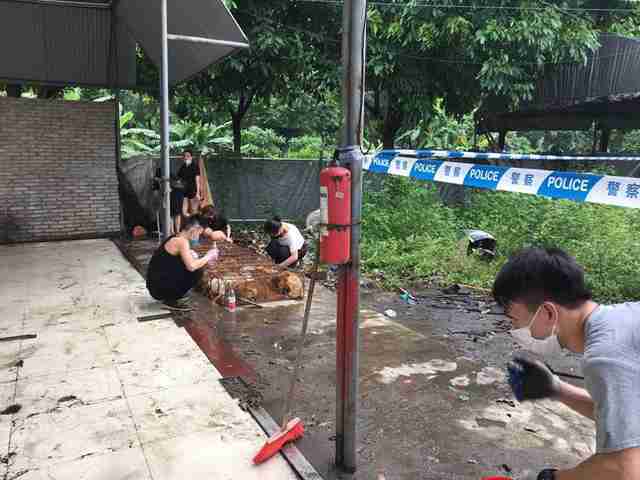 And more and more animal lovers arrived to help the dogs, including Wu Xuelian and Xiaog Qiang, leaders of an animal protection group in Guangzhou, China. 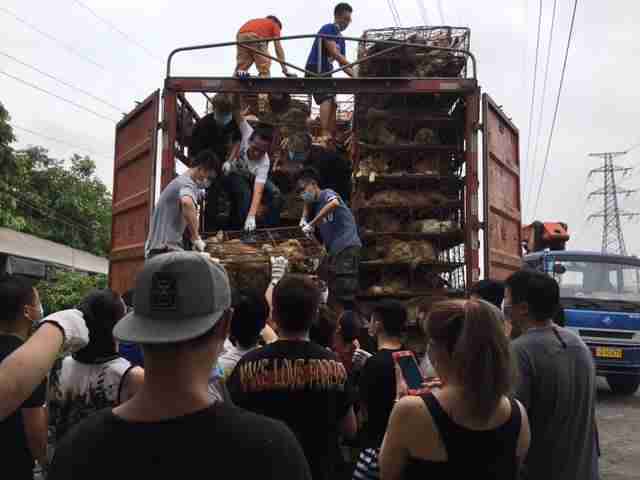 “Xiaog Qiang told me, ‘Three hundred people and 100 cars showed up within the hour,’” Andrea Gung, founder and director of Duo Duo Project, an organization that helps victims of the dog meat trade, told The Dodo. As they waited, the rescuers did what they could to help the dogs — feeding them through the cage bars and giving them water. 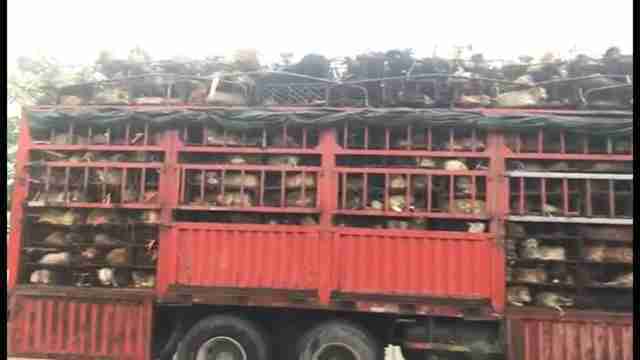 They even managed to remove some of the dead dogs from the truck, according to Li. Ten hours later, the driver was finally forced to surrender the dogs to police since he didn’t have health certificates for any of the dogs. 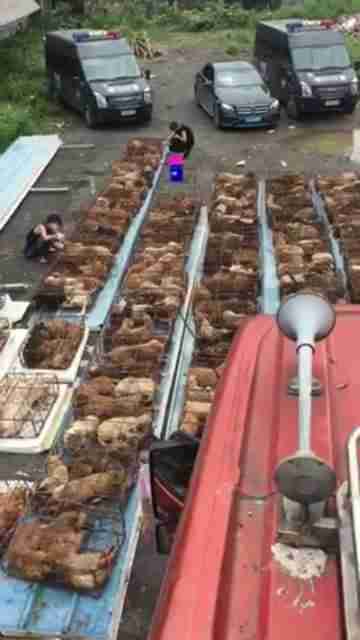 The police then handed the dogs to the rescuers, who got to work freeing them from the cages. Unfortunately, some dogs didn’t make it. Based on similar rescue missions, Gung imagines that about 30 percent of the dogs would have died during the journey. But the survivors got a second chance at life. As the rescuers pried open the cages and pulled the dogs out to safety, the dogs couldn’t hide their relief. The dogs were taken to a nearby facility, according to Li, where rescuers provided urgent veterinary care for all of the dogs, and gave them food and water. They also scanned the dogs for microchips to see if they had belonged to families. Li shares Gung’s happiness about the rescue, and he also sees it as a sign of changing times. Update: While rescuers originally estimated there were over 800 dogs on the truck, now that the dogs have been unloaded from the cages, they've counted more than 1,300 animals. To help these rescued dogs get the veterinary care they need, you can make a donation to HSI or Duo Duo Project.